Every time an iOS beta is released, the hunt is always on for hidden ‘gems’. Developer Hamza Sood is known for his ability to discover goodies and his latest find is the Apple Pay settings and privacy page, uncovered within iOS 8.1 beta, released earlier this afternoon. 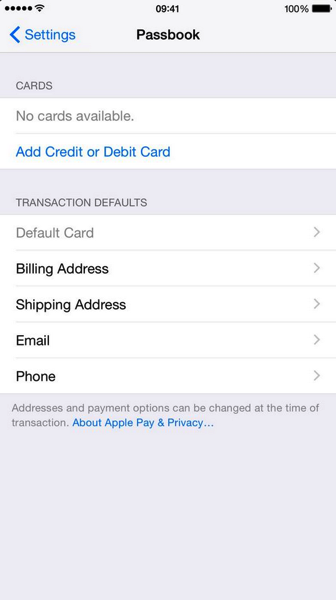 Above we see a Passbook menu within Settings which shows the option to add a credit or debit card, plus fill in default payment address and shipping details, for when using Apple Pay for shopping online. 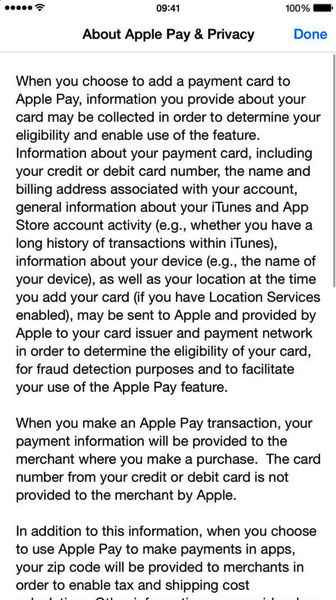 On the privacy page, Apple says “information you provide about your card may be collected in order to determine your eligibility and enable use of the feature.” This is part of a process to determine the customer’s eligibility for Apple Pay and for fraud detection. In a second tweet, a line of code discovered within iOS 8.1 beta seemingly confirms the next iPad is set to receive Touch ID, which isn’t much of a surprise if true, as many expect the fingerprint reader to make it to the company’s tablets eventually. The line within the code says “Pay with iPad using Touch ID. With Apple Pay, you no longer need to type card numbers and shipping information.” In a follow up tweet, Sood clarifies Touch ID on iPad would be for making app purchases and not alluding to NFC payments (although you would suspect this would eventually happen). 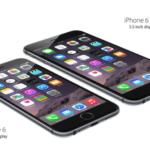 Apple Pay is set to debut in the U.S. to start this October. As for when Canada will get Apple Pay? That’s a good question. Current mobile payments have our incumbent wireless carriers working together with major banks to implement NFC payments, with credentials stored securely on SIM cards. It will come down to Apple working out terms with our existing financial institutions, which are still slowly trying to implement photo chequing (aside from CIBC, TD Canada Trust and Scotiabank-owned Tangerine).